PayTM Merchant Offer:- If you are a Merchant user of PayTM then you're able to use this Cashback Offer. Just ask out the users to pay you through your "QR CODE" on your PayTM Merchant account. After receiving the 5 Payments from the different users worth rupees 20. You'll get 100 Rupees Cashback. This offer only for PayTM Merchant Account Holder. If you're having any sort of Shop, Tuition Center, Dairy Shop etc. Then you're good to go to accept the payments from the consumers. Like other Merchant, users are doing as well. For the "PayTM Merchant" Users, PayTM has already updated the "PayTM Business App" with some decent user interface to track their Payments in the PayTM Business Account itself by using the PayTM Business App. Apart from using the App, Now you can get 100 Rupees Cashback on every payment you receive using your PayTM Merchant's QR CODE. Talking about cashback you can also see our other Cashback Offers. One of them is Zingoy-PayPal Cashback Offer. To be eligible for the PayTM Merchant Cashback offer. You need to have obviously, a PayTM Merchant Account. After this make sure you have already generated your PayTM Merchant QR CODE to accept the payments from the distinct paytm users. PayTM Merchant Account's QR Code. Accept 5 Payments from Different Users. Payments Should be above 20 Rupees. 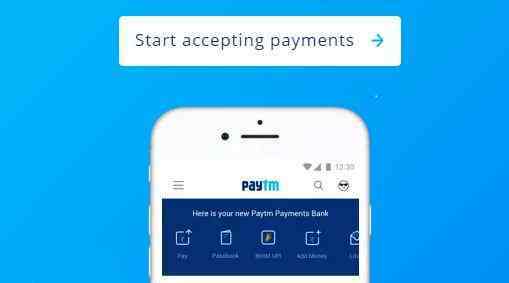 How To Activate PayTM Merchant Cashback Offer? To activate the PayTM Merchant 100 Rupees Cashback offer. You have to follow some below steps. So that you can carefully accept the payments and then you could get 100 Rupees Cashback after accepting 5 times 20 Rupees in your PayTM Merchant Account. First, of Dial this Number to be the Part of this PayTM Merchant 100 Rupees Cashback Offer. Dial 072919 93949 after few minutes call will be auto cancel. Now, you'll receive a Message. After this Start accepting Payments from the Different users. Make sure you'll be accepting all payments through using your QR CODE. When you'll collect the 5 Payments worth 20 Rupees or above you'll get 100 Rupees Cashback in your PayTM Merchant Account. Merchant Need To Receive 5 Payment From Customer During This Offer Period. Minimum Accept amount Should be 20 Rs or above. Don't use the Same PayTM number to Send Money on your PayTM Merchant Registered Account. Cashback Will Credited Within 24 Hours In Paytm Wallet. 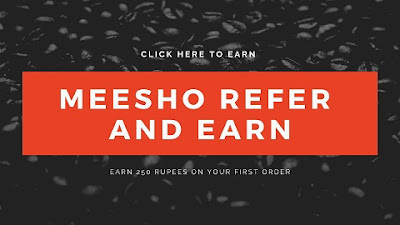 One Merchant User Will Get Rupees100 Cashback For One Time Only. So this was the post about PayTM Merchant Cashback Offer. Where you can get 100 Rupees Cashback by just receiving 5 Times payments of 20 Rupees or above from different users. Just follow the steps carefully to get benefitted by this offer.